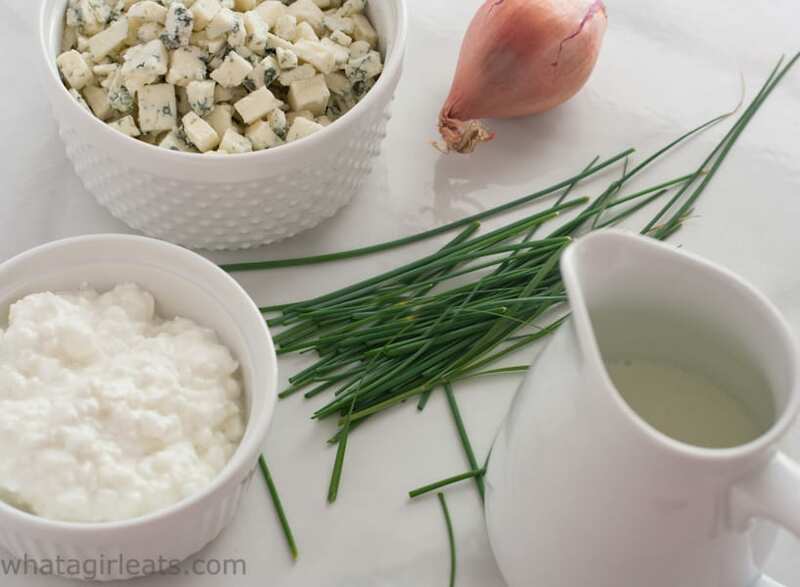 Homemade blue cheese dressing tastes so much better than anything you can find in a grocery store! 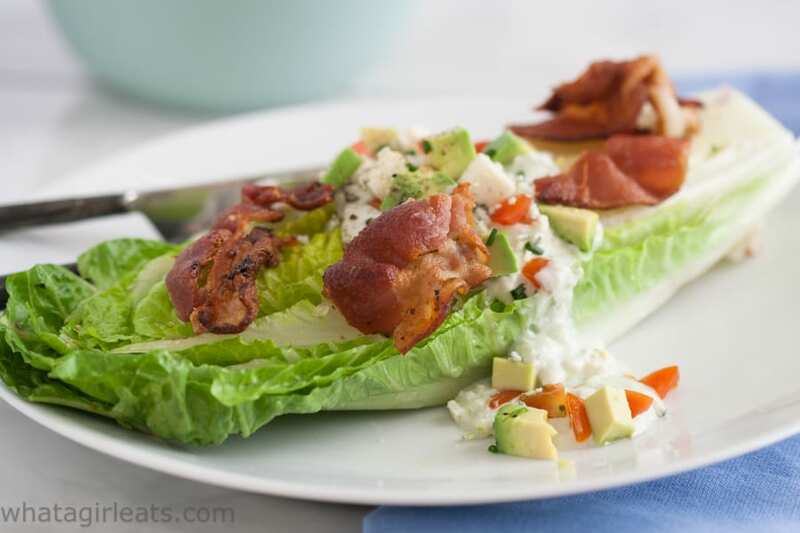 Thick and creamy, this dressing is loaded with chunks of real blue cheese, without any chemicals or preservatives. It is fresh, creamy, and delicious! 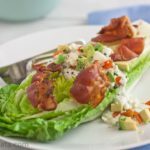 The Blue Cheese Wedge with bacon and avocado! 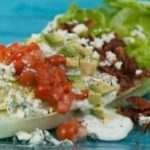 I remember as a kid going to restaurants and being given a choice of dressing with my salad, either 1,000 Island (it was a salmon color and sweet), Italian, Green Goddess, or Roquefort. I can’t remember when “Roquefort” was replaced with Bleu, or 1,000 Island with “Ranch”, but I’m guessing sometime in the late 70’s or early 80’s. Roquefort is a lot more expensive than the generic blue cheese or Gorgonzola, which was probably the reason for the change. The French are funny about their “appellations”. A product, whether it be food or wine, must come from the region it is named after. Fair enough. When I was in cooking school, I took a cheese class. Yes, one week of doing nothing but learning about cheese…talking, smelling, nibbling, tasting. On the last day of class we took a “field trip” to a relatively new cheese maker who had a warehouse South of Market. (If I were to re-write that same sentence now, nearly 30 years later, I would say, “Artisan Cheese maker” and “SoMa“.) I remember walking in and taking a big deep breath…the cool air smelled different. I wish I could remember what the name of the company was or who the proprietor was, but as he gave us a tour of the factory and described how blue cheese is made by injecting it with penicillium bacteria, which forms the blue veins. He was convinced that none of his employees had ever gotten sick in the three years since he’d opened his business, was because they inhaled that penicillin filled air every day. French Roquefort is made from sheep’s milk, Italian Gorgonzola from cow and goat’s milk and British Stilton from cow’s milk. I remember country weekends and Christmases in North Yorkshire when a huge wheel of Stilton would be pulled out and eaten with plain water “biscuits”, after the “pudding” was served with a lovely little glass of port. 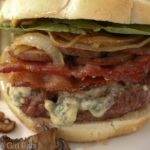 I adapted this homemade blue cheese salad dressing from a blue cheese dip recipe. Add blue cheese crumbles and pulse leaving it a little bit chunky. Stir in chives and season to taste with salt and white pepper. 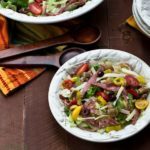 Dressing tastes best if refrigerated for a couple of hours to allow flavors to meld. In a food processor, blend cottage cheese, buttermilk and shallots until smooth. Who doesn’t love a BLT sandwich. 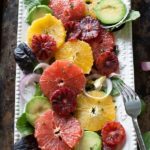 I always add a healthy slice or two of avocado to mine, so I added diced avocado to this salad. I found un-cured applewood smoked bacon “ends and pieces” at Trader Joe’s. I love the big hunks of bacon rather than bacon “bits”. 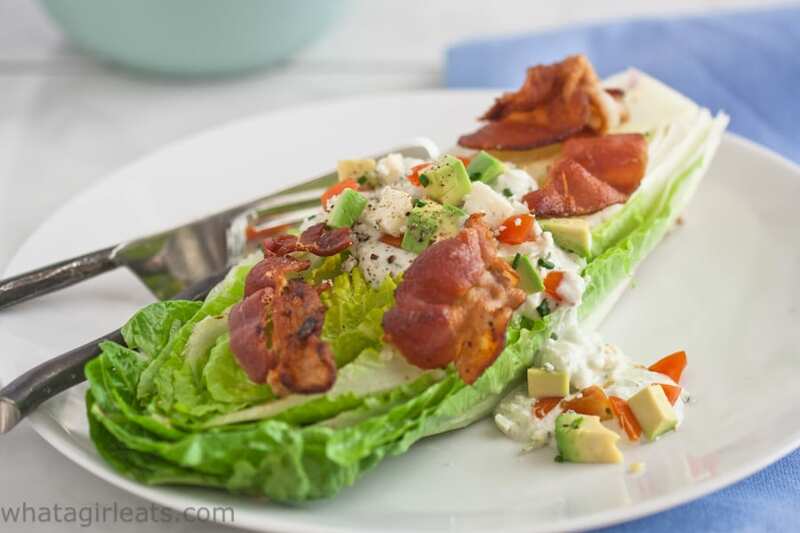 Bacon, lettuce, tomato, and avocado top crisp romaine lettuce. Drizzled with homemade blue cheese dressing! Use 1/2 head of romaine or butter lettuce per person. Add chopped tomatoes, avocado, cooked bacon and more blue cheese crumbles. Wow! This is so easy! Who knew? 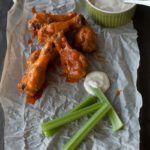 I love to dip falafel in bleu cheese dressing/dip! !